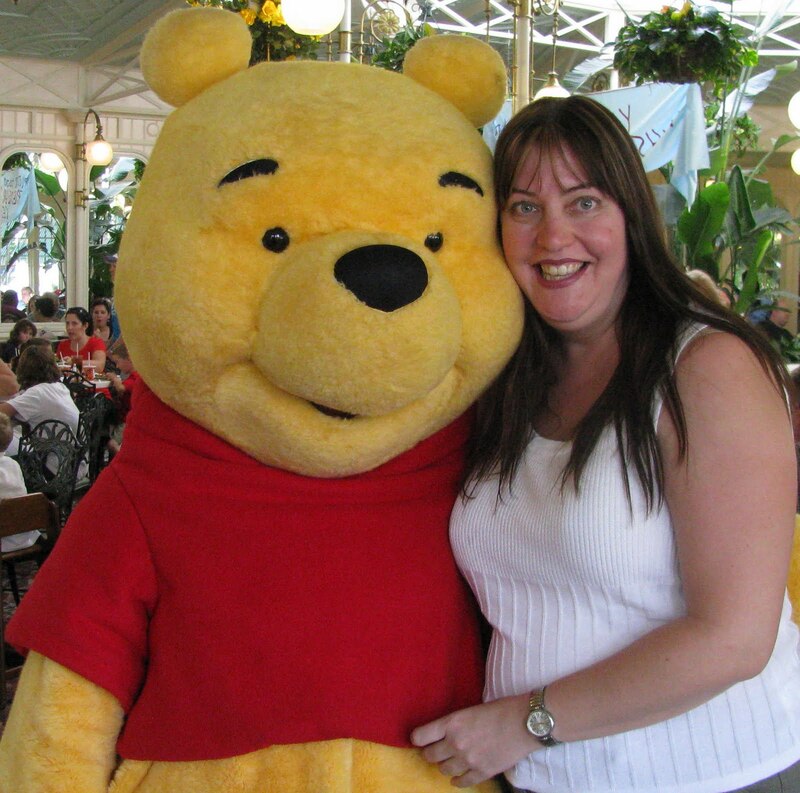 Meeting my favorite Disney character was a thrill, even at 41 years old. When I think back over 2010, it truly was a year of personal ups and downs, thankfully the ups out weighed the downs, and even things that looked so bleak in the beginning turned out to be for the best. Here's a summary of my 2010. January: Rob and I started our new year by doing our favorite thing, birding. Rob and I celebrate 6 years of togetherness. Having fun with the Chickadees at Cranberry Marsh on New Years Day 2010. 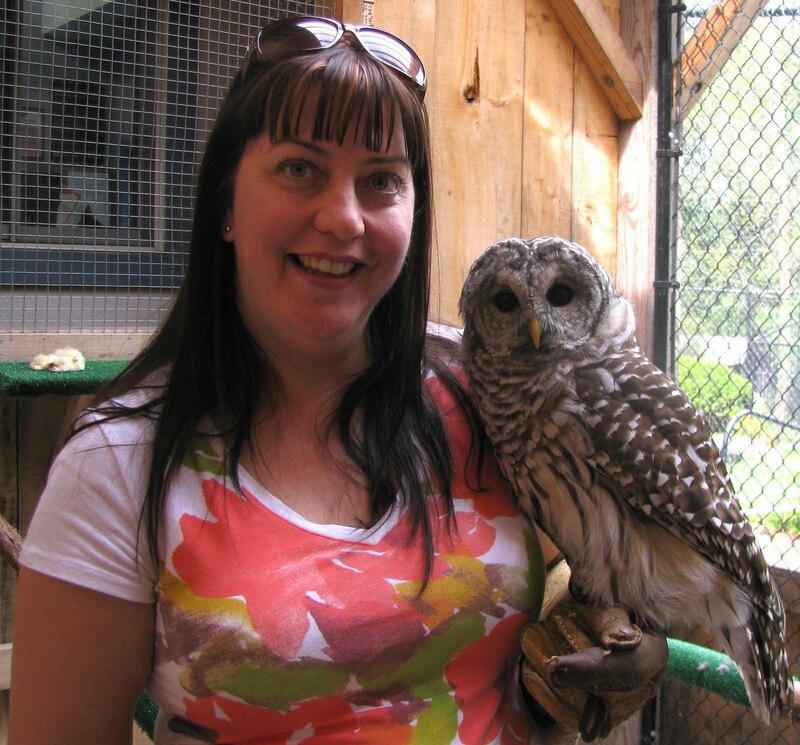 February: We see our first owl in the wild, a beautiful female Snowy Owl at Sam Smith Park. March: We see another wild owl, this time a Great Horned Owl at Thickson Woods. April: 9th Annual Girls Getaway Weekend at the Briars Resort with my favorite ladies. Mom comes for a short stay and enjoys the backyard. May: Rob and I enjoy lots of birding during peak migratory time and have loads of "first" sightings of a wide variety of birds. 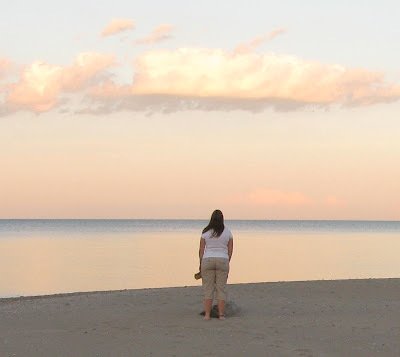 June: June starts off great, we're on vacation and visit Pelee Island for my 41st birthday. Sunset on Pelee Island was magical. Rob captured this gorgeous shot of a Great Blue Heron on Pelee Island. June didn't end so well though, I came down with a horrid bacterial lung infection that kept me off work for almost 2 months. July and August: I spent most of the summer on the couch recovering, but it was during this time that I finally got around to reading the Harry Potter series. I had seen the movies, but it wasn't until after I read the books that I truly fell in love with the series. I also find out in August that the position I held for 16 years at the Pontifical Institute of Mediaeval Studies (a part of St. Michael's College) is being eliminated the beginning of October. 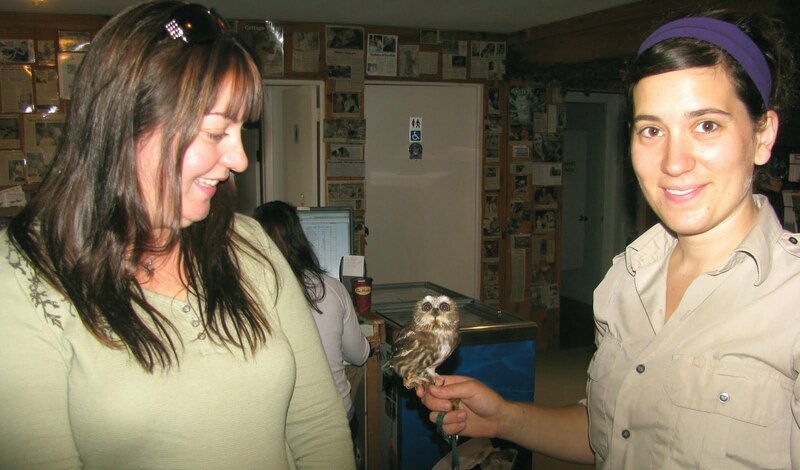 September: We enjoy the "Raptor Encounter" at Mountsberg Conservation Area and we also celebrate Rob's 41st birthday in the Muskoka region by sponsoring a Barn Owl at the Muskoka Wildlife Centre. 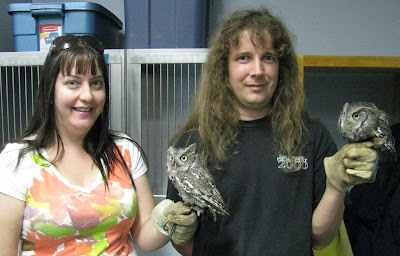 Rob and I with Otis and Echo, two Eastern Screech Owls at Mountsberg's Raptor Centre. Teddy is a Barred Owl, and we got to hold her during a private "Raptor Encounter" at Mountsberg Conservation Area. She's leaning into me, because at that moment, I'm her tree! Rob and I are Silo's sponsors, she's a barn owl who they use in their educational and out reach programs at the Muskoka Wildlife Centre. Luna is a Saw-whet Owl and the cutest thing I ever saw, I couldn't take my eyes off her. 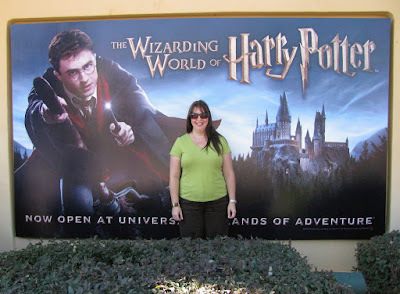 October: I spend a weekend in Orlando with friends before vacationing with my brothers family, so we can take in the "Wizarding World of Harry Potter" which just opened in June. Visiting the "Wizarding World of Harry Potter" was like stepping right into the books! I hadn't seen my brother and his family for 5 years, much too long. And it was my first time meeting my youngest niece, Tayler. After a great ten day vacation in Orlando, I come back to start a new position at St. Michael's College in a different department. 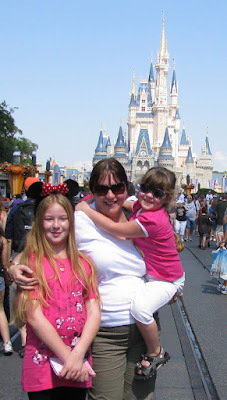 Visiting Disney World for the first time was a dream come true, getting to visit with my two nieces was priceless! November: Busy month adapting to the new job. 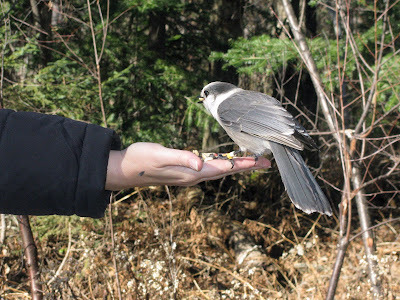 Rob and I take our first trip to Algonquin Park and see Gray Jays for the first time. We hand feed them lots of peanuts. Hand feeding a beautiful Gray Jay at Algonquin Park. December: Busy month of Christmas socializing which I just love, also included a quick four day trip home to Nova Scotia because I wasn't able to get down over the summer due to my illness. 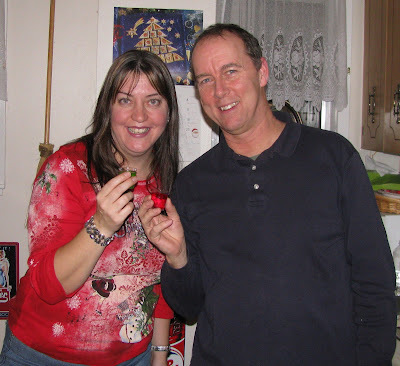 Rob and I celebrate Christmas on Boxing day, but it felt like Christmas to us. Enjoying the jello shooters with the birthday boy! 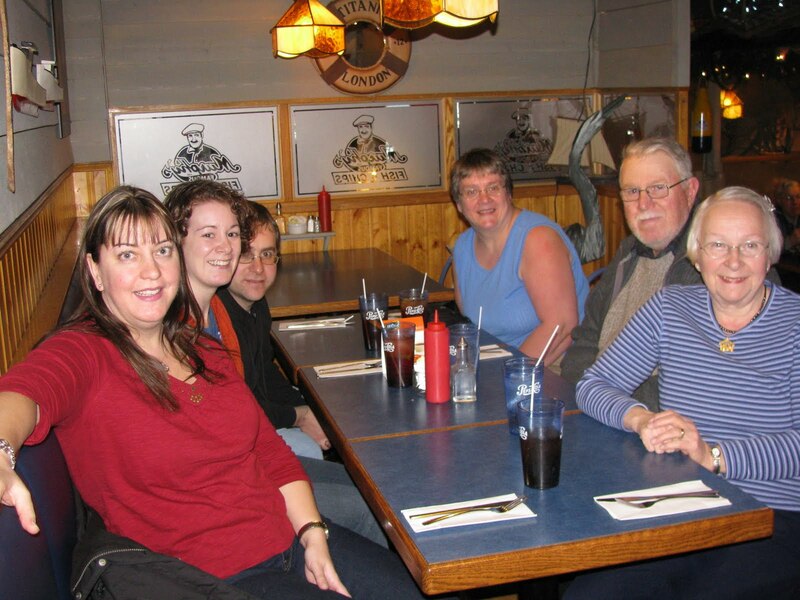 Enjoying lunch with family in Truro, Nova Scotia. I waited 18 months to get some deep fried clams! Putting some ediable goodies under the "Critter Christmas Tree", one of my favorite Christmas traditions that Rob and I started together. A lot of great memories in 2010... the ones I shared with you anyways. Here's to many more this year! Hope this year's even better than the 2010, Angie! I like your pix! You had a lot of adventures.